Hello everyone. This one’s a biggy! 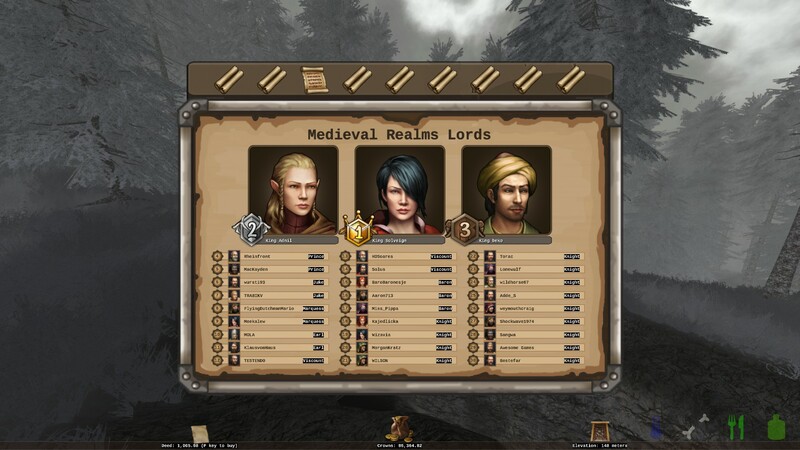 I’ve been working on Medieval Realms 0.1.0 since October 2018. It’s been six months in the making, and we are finally here. I’ve been getting up a few hours early each morning to get some coding time in before work (not to mention countless weekends), to bring you well over a dozen new features. That’s right! You the players now get to set up your very own spawn shops and sell whatever items you wish – at the prices you set. Simply find a vacant spawn area shop and begin renting. 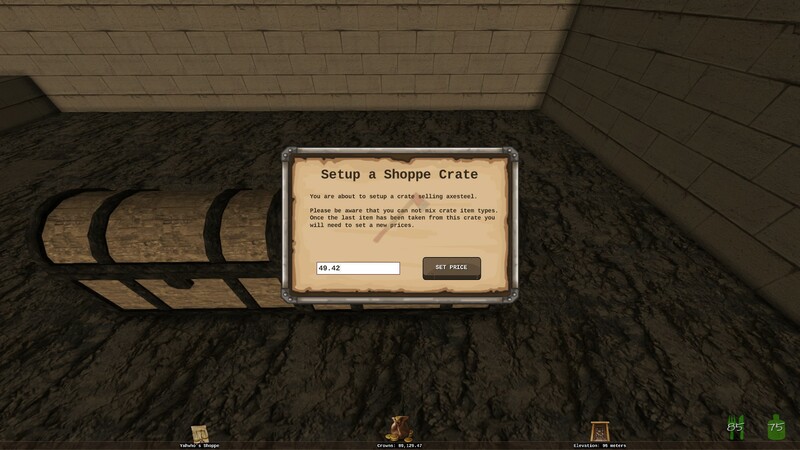 Once you’ve paid your rent to the Crown you will be able to fully customise the interior of your shop. Place any type of chest and start filling them with your wares. When a patron comes into your shop, they will be able to browse through your chests and choose which items they want to purchase from you. The whole process is controlled by a GUI. 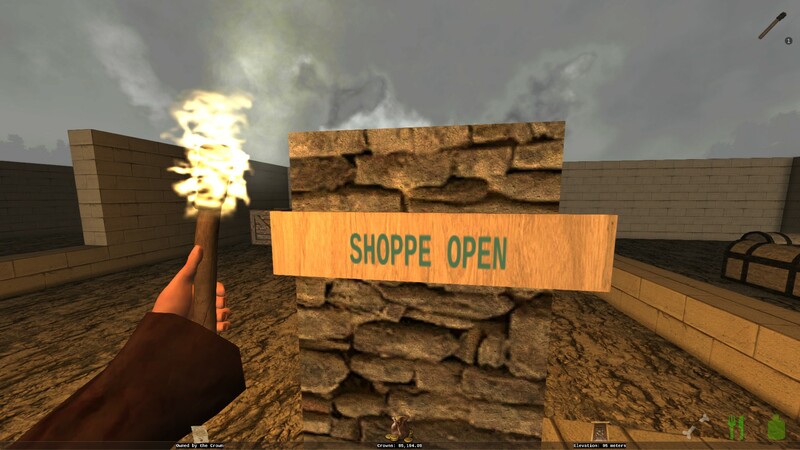 You’ll know when a player owned shop (shoppe) is rented or available to rent as the signpost outside the shop will automatically display “shoppe open” or “shoppe closed” depending on its rental status. Those already familiar with Medieval Realms will know that our server has gemstones. Previously, gemstones were found deep underground (at least -200 meters down) and were found in regular bands. These gemstones were instantly sold when found. 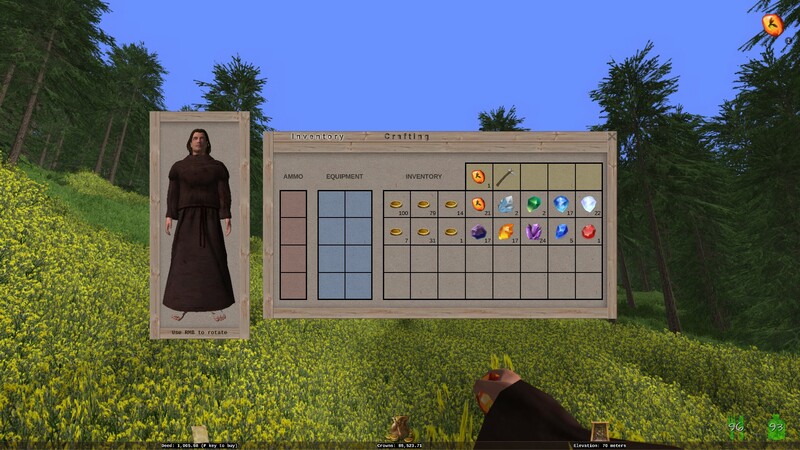 The new version of Medieval Realms has introduced physical game objects for the gemstones that are now carriable in your inventory. Not only that, but the whole gemstone generation algorithm has been re-written from the ground up (or should that be from the ground down?). Gemstones are now found anywhere from -50 meters all the way down to hell. There are also multiple factors that the new algorithm takes into consideration; including, but not limited to; your current depth, mining tool being used, ore type being mined, proximity to other players, and more (but we’ll keep those a secret!). Along with the new gemstone models we now also have carriable cash! Previously all crowns were paid directly into your account. You now have the ability to gain extra crowns as hard cash via bounties. Bounties are paid out for the elimination of those nasty bandits and undead souls. Try playing in PVP mode and you’ll earn even more rewards! There is now a “leader-board of leader-boards”. The new LORDS ranking system (Logarithmic Operation Result-set Database System) takes into consideration a dozen different factors of your game-play and ranks each player accordingly. 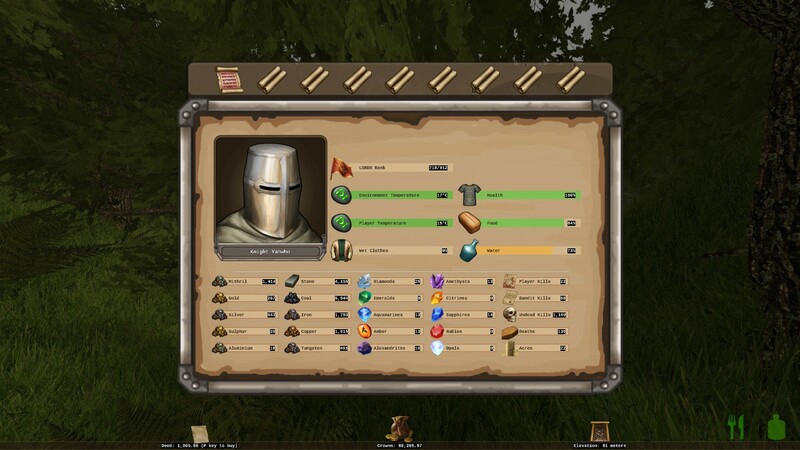 Keeping the look and feel of the previous GUI but with more stats; the server will now record how many bandits and skeletons you have dispatched. You’ll also notice your player kills will be reset to zero. There’s a reason for this. Previously your PVP kills were simply recorded as an integer value. Bit boring huh? The new system records not only your kills but who you’ve killed! There isn’t any feedback on this data yet (I know, I’m sorry! I would love to have had this ready too, but you know. . . this stuff does take time 😀 ) but rest assured it is being recorded. 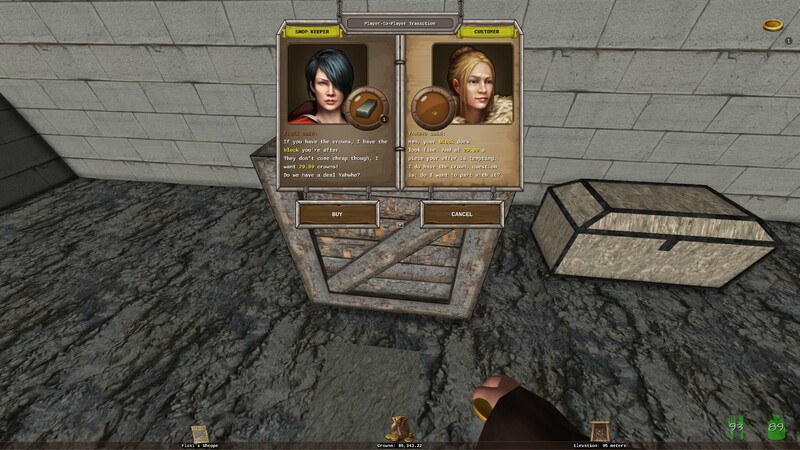 Future versions of Medieval Realms will also display who’s killed whom. So watch this space! On a side note, we’ve also got your players environment temperature now being displayed on the Realms menu as well as an indicator to show how wet your clothes are. Yes you read that right! I’ve done away with the vanilla health bar. 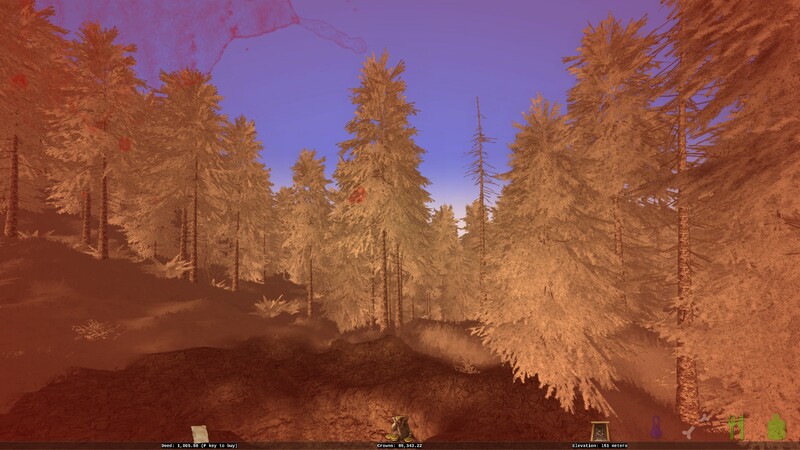 Instead now when your character is injured you will have a blood overlay over your screen which is accompanied by a new heartbeat sound effect. During my time testing this out, at night in the woods, it sure can get scary! The eagle-eyed amongst you might have noticed that there are some new HUD graphics. 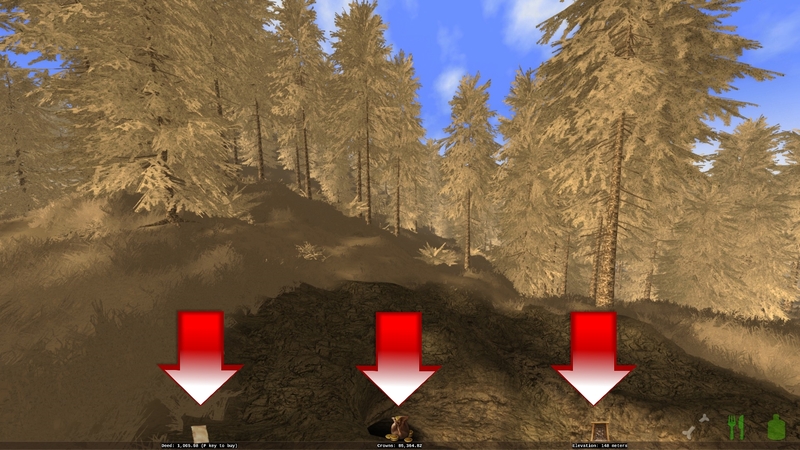 From left to right; the first graphic represents the current lands deed holder, the middle graphic represents your current balance, and the final graphic represents your current elevation or depth. 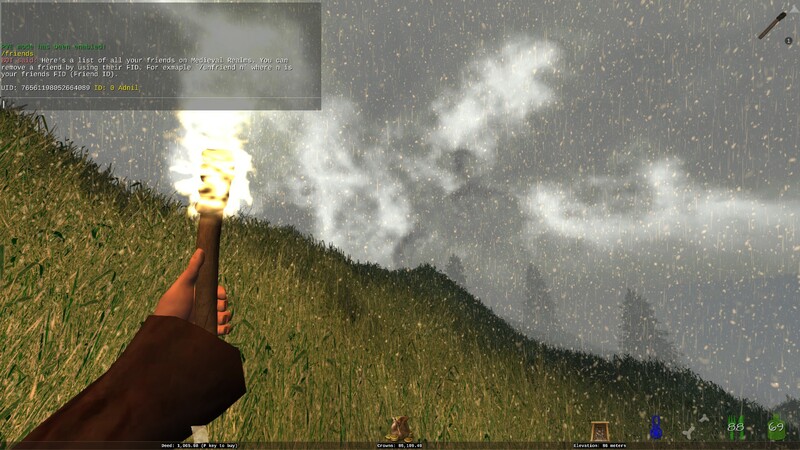 Medieval Realms is getting big! And as such, travelling to and from places is taking a long (sometimes long, long) time. 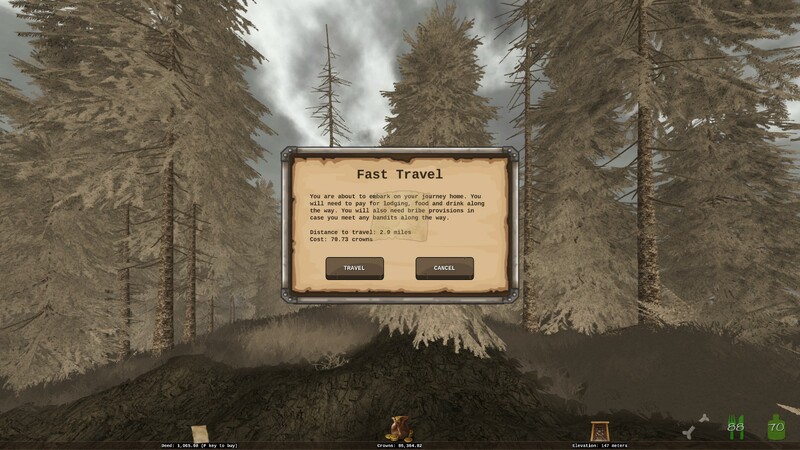 So to help speed up your travelling I’ve introduced a “Fast Travel” feature. At any point in the game you can fast travel to your last used bed. Simply press the `H key`. Travelling in Medieval Realms isn’t free! You will need to pay for your lodging, food and drink along the way, you’ll also need to take provisions to bribe any bandits you might encounter on the way. The further you are away from home, the more you’ll have to pay for a safe journey. Previously you could only remove friends whilst they were online. You also had no way of seeing who was your friend after adding them – not very good, huh? Now you can view your friends by typing in /friends into the chat window. To add a new friend (they must be online and without a space in their name) type in /befriend [players_name]. You can also remove a friend from your friends list using the /unfriend command. First of all type in /friends to see your friends list (if it’s a long list you may need to use your PgUp and PgDn keys to view the full list). Then using the friends ID (FID) type in /unfriend [FID] the player will no longer be on your fiends list and therefore will no longer have access to your lands. There are certain doors on Medieval Realms which lock automatically when on your own land. 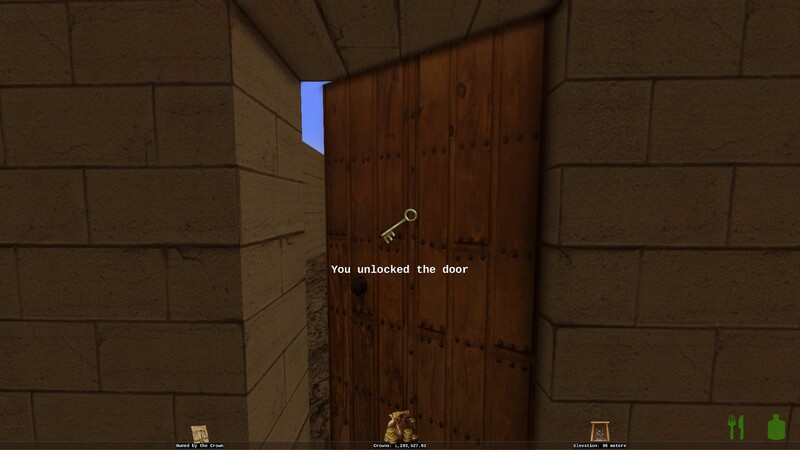 Previously you just got a text message saying “you have locked this door” or “you have unlocked this door. This has been slightly improved with a key animation. So there should be no question as to whether you have locked your doors or not! The Medieval Realms bot just got smarter! If you’re in trouble or you need some help, the bot will be there to help you along your way. He uses Natural Language Processing so you can speak to him like you would with any other player. Just please be nice to him- he’s still learning! Well I hope you enjoy playing on the server with all its new goodies! It’s been a long, hard labour of love. If you love Medieval Realms and you want to help contribute towards the continued development and upkeep of the server then please do consider making a very kind donation.